Contact us today to book your place! We drive along jungle tracks and sail round rocky points to discover the finest waves these three stunning countries have to offer. You can surf as much or as little as you want while experiencing the extraordinary countryside and untouched, deserted beaches. A trip of a life time. 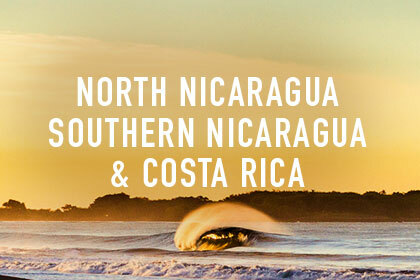 For further information on our Northern Nicaragua Trip click here.